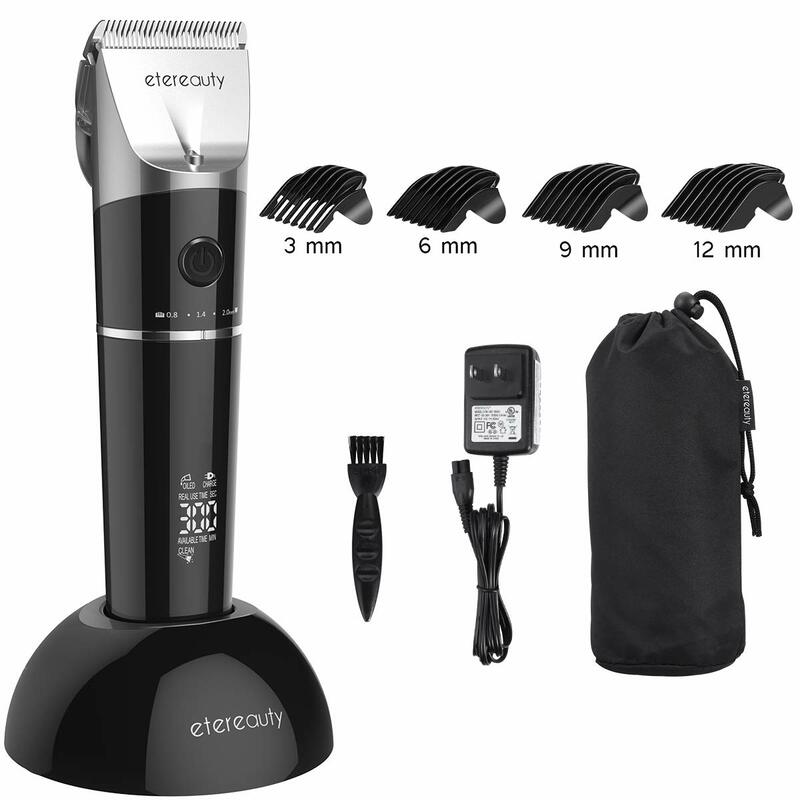 ETEREAUTY hair clipper for men made from titanium ceramic to achieve a precise edge with this durable, high-quality blade, cuts very cleanly with no pulling of the hair. The hair clipper supports precise length setting adjustment range from 0.8mm to 2.0mm without a guard comb.Fast and easy to clean, and simply rinse the blades under running water for quick, hygienic cleaning. R Shaped Rounded Edge Design to preventing skin irritation from the blade of hair cutting machine.Quickly touch up your hair ! Our ETEREAUTY trimmer will help you maintain a consistent length, snip some strays for a cleaner look, or detail the outer edge. The perfect beard can be the determining factor in looking like a baby-faced college freshman or a rugged rebel with a heart of gold. However, you decide to sculpt your facial hair, you will need a quality beard trimmer to keep it on point. You may want to stick to your go-to trim for most of the year, which is understandable, but the right trimmer will also allow you to experiment with different looks every now and then to keep things fresh. 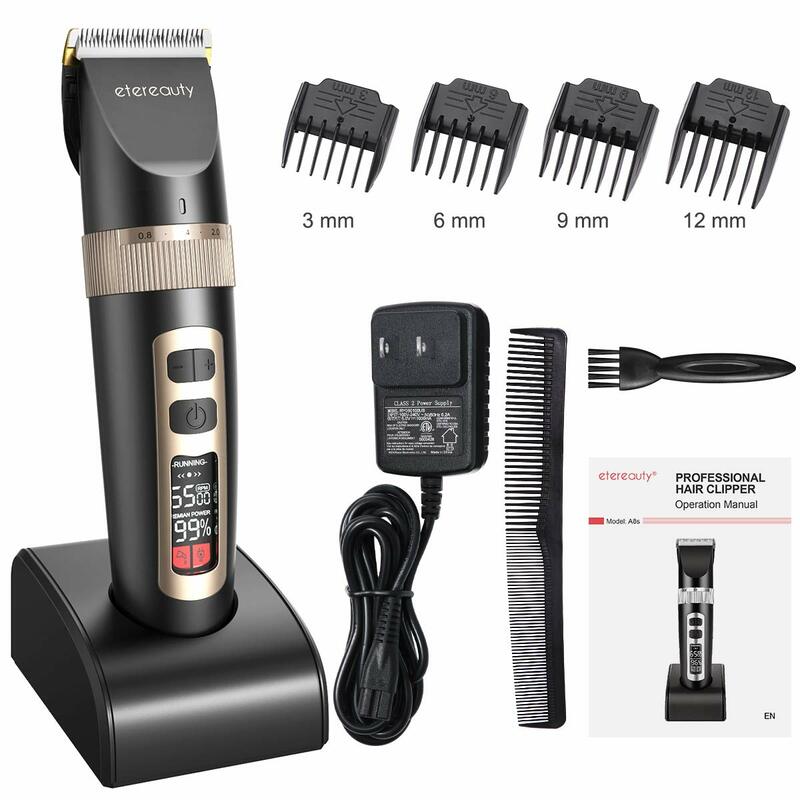 • It features cordless convenience, a powerful but quiet three-speed motor, and an LCD screen that shows speed, battery level, a charging indicator, and even an indicator for whether the clipper needs oil! 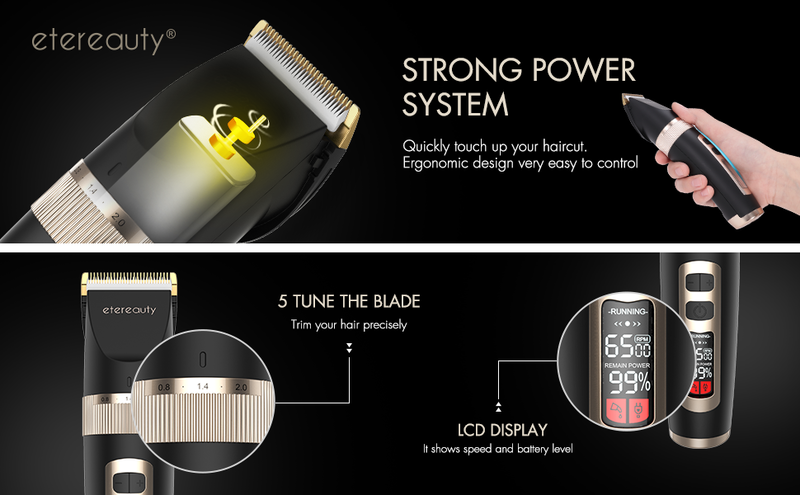 • The blades of this hair trimmer are titanium ceramic and are self-sharpening, so they always cut cleanly with no pulling. • There are four guide combs included, for trimming at 3, 6, 9 and 12-millimeter length (about 1/8" to 1/2"), so you can choose the exact length you want for your beard, and easily groom to different lengths on different parts of your face. • And for precision control, the trimmer head itself is adjustable from 8mm to 2.0mm. 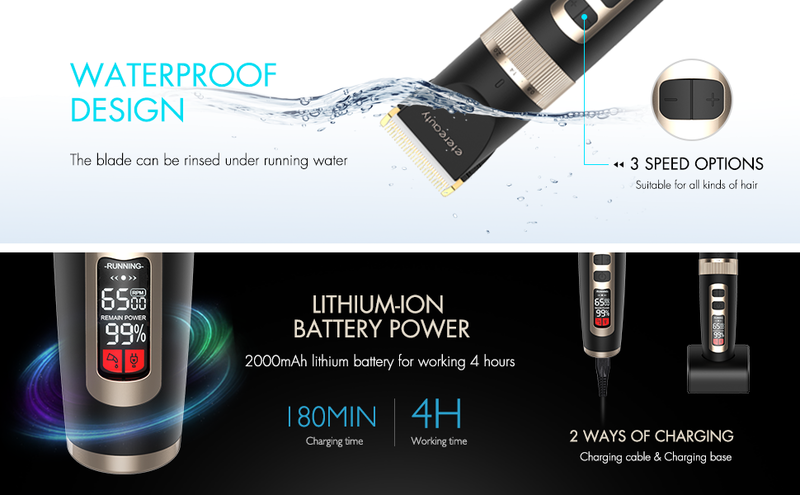 • The clipper runs for four hours on a charge, but it can be used while plugged in if the charge should run out. • And a handy charging stand is included, as well as accessories like a comb, and a cleaning brush. A must have for your family haircut! • In addition to its use in a variety of hairstyles, this clipper is also perfect for maintaining the short-beard look that has become so popular in recent years. • Material: Silver palladium alloy and Ceramic. • Mode: 3 Speeds Control, 5000RPM/ 5800RPM/ 6500RPM. 1. Please read the instruction in details before using this hair clipper. 2. Maintaining the hair clippers regularly, clean or add the oil timely. All ETEREAUTY's product is sold with a full money-back guarantee. If you're dissatisfied with your purchase for any reason, contact us for a replacement or refund.